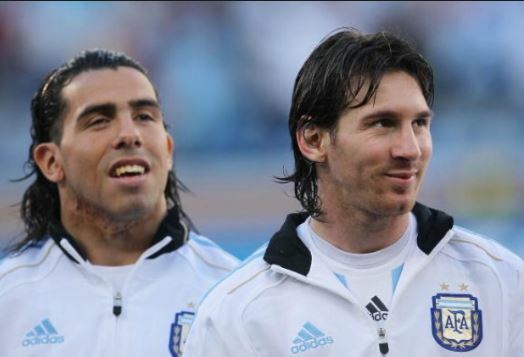 Carlos Tevez believes that Russia 2018 will be “Lionel Messi’s World Cup”, with the Barcelona talisman ready to inspire Argentina to global glory. The 30-year-old forward is yet to savour senior international success with his country, with final heartache having denied him the opportunity to complete a remarkable haul of honours. Messi does, however, have another shot at cementing his status as an all-time great this summer, with his presence alone considered to have Argentina in contention for football’s biggest prize. Tevez believes his countrymen will be in contention, with there only two sides capable of competing with the Albiceleste if they perform to their potential. The Boca Juniors striker told Corriere della Sera: “I am sure that this is Messi’s World Cup. “He has a lot of anger in his body, even if he does not show it. “I don’t think this will be his last tournament, but I expect a great World Cup.